With the ever-expanding interest in Mediterranean foods and flavors, Ras el hanout is beginning to show up in recipes. Ras el hanout? What is it? 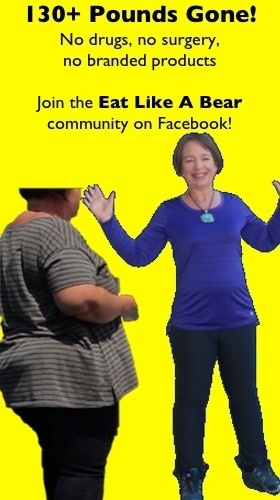 Have you seen it at the grocery store? Not in my neck of the woods! Ras el hanout is a blend of spices rather like the curry powder from India, the Ethiopian Berbere, and the chili powder of Mexico. Wise cooks long ago began blending spices to save time. Rather than pull twelve jars from your spice cabinet to make curry, you pull one: curry powder. Curry powder has about a dozen different ingredients. Have you noticed with commercial curry powder that no two brands have an identical taste? Similarly, no two households that blend their own curry powder will have the same taste. There are as many curry powder nuances as there are households that blend it. The same is true of Ras el hanout. 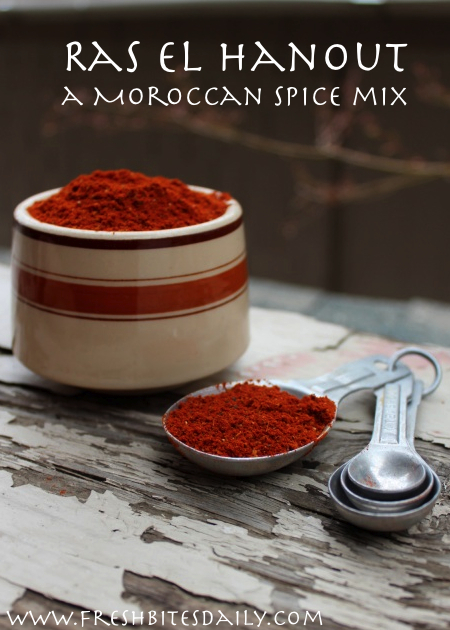 Ana Sortun, in her fabulous Spice cookbook, calls Ras el hanout the curry powder of Morocco. The moniker seems to have caught on. Just as we have grown accustomed to curry powder in everything from salad dressings to soups to meat rubs, the same will be true of Ras el hanout. Follow most recipes for this spice blend and you will end up with a half cup or more of spice. No problem! Get ready to use it on vegetables, grains, beans and as a rub on meat. Ana recommends it particularly for roasting chicken. Imagine the color and the aroma! If you are going to invest your time in making this spice blend, use the freshest spices you can get your hands on. Tip: they don’t come from the big brand groceries! Shop at an ethnic market or order on-line. About four times a year I shop at Sultan Market on El Toro Road in Lake Forest, CA. Fabulous! If you drop in there, tell them I sent you. The recipe below is from Ana Sortun’s book with the exception of saffron. I left that out. It’s not a staple in my kitchen. Ana’s recipe is simple and tasty, one that is easy to put together. If you want a more complex blend with items like rose petals and lavender buds, here is a formulation by Jennifer Olvera (here). Using a small heavy skillet, dry roast the cumin seeds until they become fragrant, about 2 minutes. Stir the whole time to ensure they do not burn. When the seeds are toasted, remove the skillet from the heat and pour the seeds onto a plate to cool. 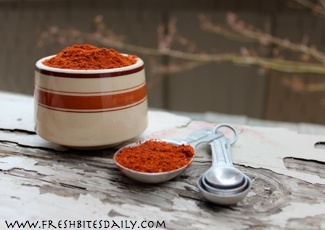 In a small bowl combine the cinnamon, turmeric, ginger, and paprika. Grind the peppercorns in a dedicated spice grinder and then add to the mixture in the bowl. Grind the cooled cumin seeds in the same spice grinder and add to the rest of the spices. Wipe out the spice grinder. Thoroughly mix the spices and store in a tightly sealed glass container. Keep the container in a dark cool place for maximum preservation of the flavors. If you are not accustomed to this much flavor, then go easy to start with. When following a recipe, add about half of the Ras el hanout and taste. Add more of the spice mix if you like. You will love this mix but you have to work it out for your own palette and that of your family. Bon appetite!